This page is to introduce you to upcoming projects once we have been appointed as developer’s appointed sales agency. Click on project name below if the hyperlink is available, for more information. Project information would usually be released gradually closer to preview/launch date, so please do check my blog regularly for the target launch date, as well as my posting on the project individually. Alternatively, please submit the contact form here to be updated on project information and materials once it is released by developer. The Tre Ver is a 99-year condominium bringing you living by the river. Located at Potong Pasir Avenue 1, it has over 220m direct frontage onto Kallang River. Stirling Residences is a 99-year condominium offering you *Urban Location, Elegant Trio Towers, Luxury City Living*. It is located within close proximity to Queenstown MRT and showflat is open for walk-in sales. Click here for information on Stirling Residences. JadeScape is a 99-year condominium with a walking distance of only 200m to Marymount MRT station. It is located in heart of Singapore at Bishan/Thomson area and developer Qingjian targets a preview in Aug/Sep 2018. Click here for information on JadeScape. The Jovell is a 99-year condominium by developer Hong Leong. Located at Flora Drive, apartments come with efficient layout, quality finishing and does not compromise on size. Showflat targets preview soon. Riverfront Residences is a 99-year condominium having a riverfront facing located in Hougang. Very affordable Riverfront Residences price released by developer from $578k. Showflat is open for walk-in sales. Click here for information on Riverfront Residences. Park Colonial is a 99-year condominium located doorstep to Woodleigh MRT. Its location at Woodleigh Lane is amongst low-rise developments and enjoys conveniences from upcoming integrated development by SPH at Woodleigh MRT. Showflat is open for walk-in sales. Click here for information on Park Colonial. Affinity at Serangoon is a 99-year condominium located within close proximity to Serangoon MRT Interchange and Serangoon Gardens. Its location at Serangoon North Ave 1 amongst landed housing cluster provides a serene and tranquil environment for residents. It was launched in June 2018 and now open for walk-in sales. Click here for information on Affinity at Serangoon. Twin Vew is a 99-year condominium located within close vicinity to Jurong Lake District. It is located at West Coast Vale and is open for walk-in sales. Click here for information on Twin VEW. A 99-year executive condominium development at Anchorvale Lane in Sengkang by Hoi Hup, Rivercove Residences EC will be the only EC new launch in 2018. Click here for information on Rivercove Residences EC. The Tapestry, Tampines Condo by CDL, is a 99-year condominium located in vibrant housing estate of Tampines. It was launched in Mar 2018. Click here for for information on The Tapestry. New Futura by CDL sits on rare prime freehold land, and is minutes away from Orchard shopping belt, at Leonie Hill. Your home comes with a private lift access, quality finishing and top-notch facilities with prestigious landscaping. T.O.P. already obtained and was launched on 18 Jan 2018. The Navian is a rare freehold private residential development. Located in the neighbourhood of recent Eunosville enbloc sale, at Jalan Eunos, it offers a peaceful sanctuary with access to zen-ness of the 20m lap pool on a ‘forever’ basis to residents. It was launched on 28 Oct 2017. Le Quest is a 99-year mixed development project comprising of retail and residential apartments. Located at Bukit Batok West Avenue 6, it offers doorstep conveniences of retail and F&B shops to residents. Released apartments on 1st phase of launch in Aug 2017 fully taken up. It was re-launched in May 2018. Click here for more information on Le Quest. A 99-year executive condominium development at Yio Chu Kang Road, Hundred Palms Residences EC enjoys a city fringe location and is within 1 km from popular Rosyth Sch. Click here for more information on Hundred Palms Residences EC. Park Place Residences at PLQ is a 99-year residential project within mixed development of Paya Lebar Quarter located at Paya Lebar Central, having direct connection to both Paya Lebar East-West Line and Circle Line MRT stations. 2nd phase was re-launched in Mar 2018. Click here for more information on Park Place Residences. Seaside Residences is a 99-year residential project in Siglap by Frasers Centrepoint, 3 minutes’ walk to future Siglap MRT station. It was launched in Apr 2017. Click here for more information on Seaside Residences. The Clement Canopy is a 99-year residential project in Clementi by UOL, with close proximity to Kent Ridge Education Belt. It is now open for walk-in sales and showflat is open on daily basis. Click here for more information on The Clement Canopy. Grandeur Park Residences is a 99-year residential project at Upper Changi Road, doorstep to Tanah Merah MRT station. It achieved strong weekend sales of 58% on its launch on 4 Mar 2017. Click here for more information on Grandeur Park Residences. A 99-year executive condominium development at Choa Chu Kang Ave 5, iNz Residence EC enjoys being next to upcoming Tengah “Forest Town”. Launch date is on 11 Mar 2017. Click here for more information on iNz Residence EC. Queens Peak is a 99-year residential project at Dundee Road, and it’s directly linked to control station level of Queenstown MRT. It was launched in Nov 2016. Click here for more information on Queens Peak. Forest Woods is a 99-year residential project at Lorong Lew Lian, 5 minutes’ walk to Serangoon MRT & NEX Megamall. It was launched on 8 Oct 2016. Click here for more information on Forest Woods. The Alps Residences by MCC Land is a 99-year residential project at Tampines Ave 10. It was launched on 1 Oct 2016. Click here for more information on The Alps Residences. A 99-year executive condominium development at Woodlands View, Northwave is within close proximity to North-South Expressway and enjoys free shuttle service at doorstep. It was launched on 9 Jul 2016. Click here for more information. A 99-year executive condominium development at Anchorvale Crescent. Treasure Crest is within 10 mins walk to many amenities including 2-min to LRT and 1km to Nan Chiau. It was launched on 16 Jul 2016. Click here for more information. Gem Residences is a 99-year residential project at junction of Lor 6 and Lor 4 Toa Payoh, 6 minutes’ walk to Braddell MRT. It was launched on 28 May 2016. Click here for more information on GEM Residences. A 99-year private residential project at Sturdee Road/Beatty Road offering luxury urban living, near 2 MRT stations (Farrer Park MRT and upcoming Bendemeer MRT). It was launched on 21 April 2016. 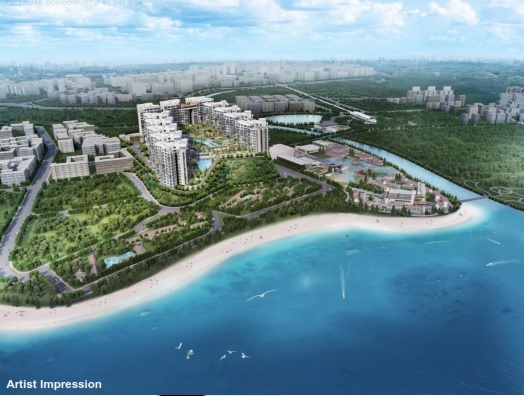 Click here for more information on Sturdee Residences. A 99-year executive condominium development at Canberra Drive, The Visionaire EC is minutes walk to Canberra MRT and is the 1st ‘Smart Home’ EC. It was launched on 23 April 2016. Click here for more information. A 99-year mixed development comprising residential tower and hotel at Cairnhill Road/Bideford Road, with direct link bridge to Paragon and within close proximity to Somerset MRT and Orchard MRT. Click here for more information on Cairnhill Development by Capitaland. The Wisteria is a 99-year commercial & residential project at junction of Yishun Ave 4 and Yishun Ring Road. It was launched on 12 Mar 2016. Click here for more information. A 99-year executive condominium development at Choa Chu Kang Drive. Wandervale EC is minutes walk to Choa Chu Kang MRT, with free shuttle service to Bt Panjang MRT. It was launched on 5 March 2016. A 99-year commercial & residential project next to Potong Pasir at Meyappa Chettiar Road. It was launched on 28 Nov 2015. Click here for more information on The Poiz Residences. A 99-year private residential project at Sin Ming Avenue/Lorong Puntong, minutes’ walk to upcoming Bright Hill MRT. It has been launched and is now open for sales. Click here for more information on Thomson Impressions. A 99-year executive condominium development at Yishun St 51. Signature at Yishun EC has been launched and is now open for sales. Click here for more information. A 99-year executive condominium development at Anchorvale Cresent in Sengkang. The Vales EC is 7 minutes’ walk to Sengkang MRT and was launched on 25 Jul 2015. Click here for more information. A 99-year executive condominium development at Canberra Drive 3 minutes’ walk to MRT, The Brownstone EC was launched on 18 Jul 2015. Click here for more information. A 99-year executive condominium development at Westwood Ave launched on 30 May 2015. Click here for more information on Westwood Residences. 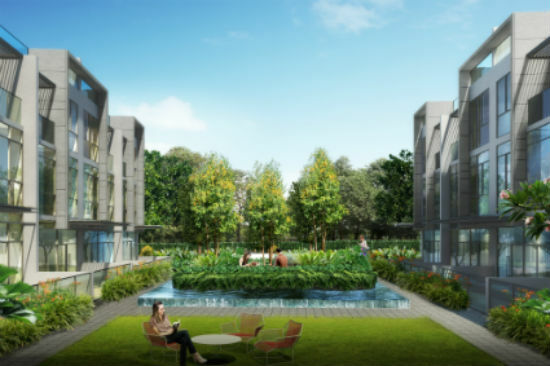 A 99-year private residential project at Upper Serangoon View with free shuttle service. It was launched on 7 March 2015. Click here for more information on Kingsford Waterbay. A 99-year executive condominium development at Punggol Drive/Edgedale Plains, 3 mins walk to Kadaloor LRT. The Terrace EC was launched on 7 Dec 2014. Click here for more information. A freehold private condo project at St. Patrick’s Road (former St. Patrick’s Garden) by UOL. Click here for more information on this condo. A 99-year integrated development at Marina Bay District. Click here for more information on Marina One Residences. A 99-year executive condominium development at Anchorvale Crescent, 3 mins walk to Farmway LRT. Click here for more information on Bellewaters EC. A 99-year executive condominium development at Woodlands Ave 5. Click here for more information on Bellewoods EC. A 99-year mixed development comprising residential tower and commercial podium at junction of Beach Road and Jalan Sultan, within 5 mins walk to Nicoll Highway MRT. Click here for more information on City Gate. A 99-year private residential project at Faber Walk, within proximity to Clementi Town and Jurong Gateway. Click here for more information on Waterfront @ Faber. A 99-year private residential project 1 min to Queenstown MRT station. Click here for more information on Commonwealth Towers. A 99-year private condo project at Tampines Ave 10 by MCC Land. The launch date was on 29 March 2014. Click The Santorini for more information. A 99-year private condo project 5 minutes walk to Layar or Kupang LRT station by UOL Group. The launch date was on 14 February 2014. Click Riverbank @ Fernvale for more information. A 60-year private condo project minutes’ walk to future Beauty World MRT station by World Class Land. Showflat opens 4 – 12 Jan 2014, and VVIP Preview (booking Day) is on 17 Jan 2014. Click The Hillford for more information. A 99-year private condo project less than 5 minutes walk to future Mayflower MRT station by Wheelock Properties. Click The Panorama Ang Mo Kio. for more information. A 99-year private condo project 1 minute walk to Bugis MRT station by M+S Pte Ltd. The expected launch date is 15 November 2013, click here for more information on Duo Residences. A 99-year private condo project 3 minutes walk to Bishan MRT station by CapitaLand. The expected launch date is October 2013, click here for more information on Sky Vue. 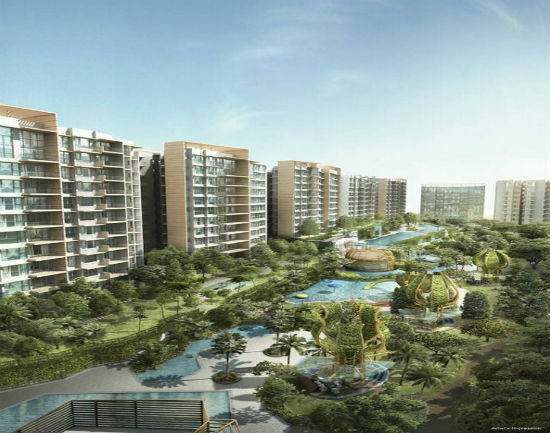 A freehold cluster landed housing in Seletar Hills Estate, off Ang Mo Kio Ave 5. The expected launch date is 20 September 2013, click here for more information on Belgravia Villas. A 99-year executive condo at Pasir Ris Drive 3/Pasir Ris Rise by Hao Yuan Development. Sea Horizon was open for Sales on 7 September 2013. Click here for more information on Sea Horizon EC. A 99-year private condo project next to the Tanah Merah MRT station by Keppel Land and China Vanke. Click here for more information on The Glades.